Tony Tan – Related to Lee Hsien Loong? 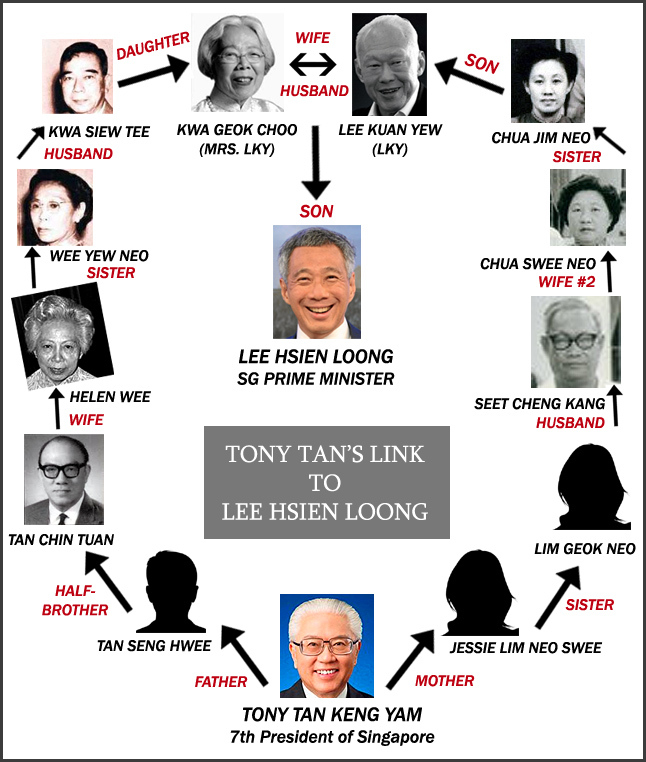 Short Version: Tony Tan is related to Lee Hsien Loong. 1. Tony Tan’s father is Tan Seng Hwee. 2. 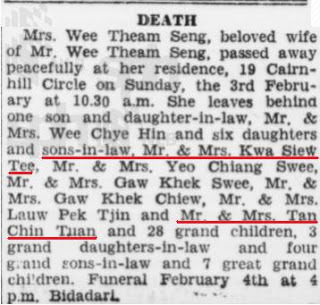 According to Geni, Tan Seng Hwee’s half-brother is Tan Chin Tuan. 3. 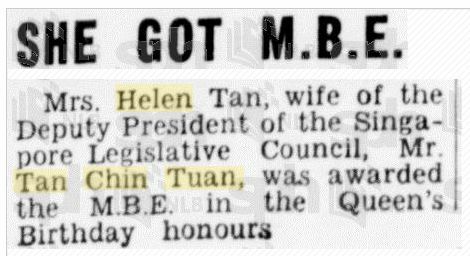 Tan Chin Tuan (Tony Tan’s uncle) was married to Helen Wee, who is the sister of Wee Yew Neo. (Sources: Geni, NLB, Veritas and Rojak Librarian). 4. Kwa Siew Tee married Wee Yew Neo in 1910. 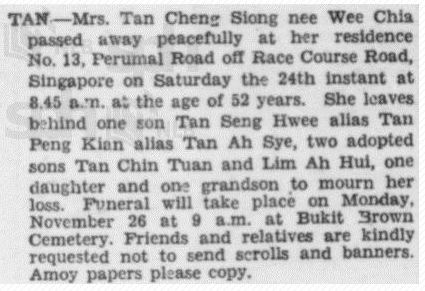 They are the parents of Kwa Geok Choo (Mrs. LKY). 5. Tony Tan’s mother is Jessie Lim Neo Swee (refer to screenshot on Point #1). 6. Jessie Lim is the sister of Lim Geok Neo, who is the wife of Seet Cheng Kang. Lim Geok Neo is the only portion in the family tree where I could not verify the information from more than one reliable source. However, the Geni profile for Lim Geok Neo was added by a family member (private profile), and is currently being managed by a fellow family member (Jimmy Seet). Lim Geok Neo was the wife of Seet Cheng Kang. Profile was added by a Seet, and is currently managed by Jimmy Seet (son of Seet Cheng Kang). Source: Geni. 7. 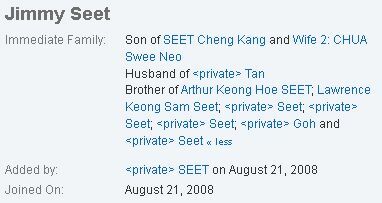 Seet Cheng Kang’s second wife was Chua Swee Neo, who is the sister of Chua Jim Neo, who is the mother of Lee Kuan Yew. 8. 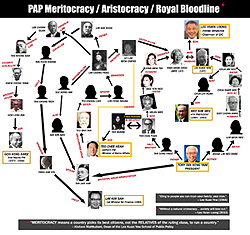 This means that Tony Tan is related to Lee Hsien Loong through the family members of both Mr. and Mrs. Lee Kuan Yew.